I was shopping in the beauty department in Myer the other day and when I stumbled upon the CK One Colour counter, I wondered why I hadn't stopped by there before. 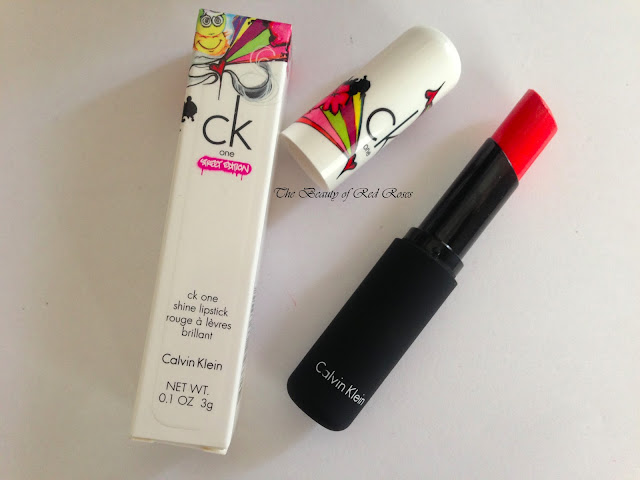 CK One Colour launched in Australia last year and their range of products look very sleek and chic that they seem to be aimed more towards the younger generation of women. I am a sucker for limited edition collections, so I was really excited to see that CK One Colour recently launched their limited edition Street Collection which features vibrant and vivacious hues that are symptomatic of graffiti in the city streets! CK One Colour ambassador and New York City graffiti artist Sharon De La Cruz designed the limited edition packaging of the fragrances, lipsticks, nail strips and eye shadow quad. The products in the CK One Colour Street Edition include the following: CK One Shock Street Edition for him and her fragrances, Shine Lipsticks (A$35/3g: Tagged is a hot pink, Painted is a sheer purple, Punked is a vibrant coral/red and Sketched is a soft pastel peach), Eye shadow quad in Vandalised (bright shades of blue, pink, purple and brown) and Nail Strips in Graffiti. I was particularly interested in the Shine Lipstick in Punked as it is a vibrant red shade which would brighten my complexion. 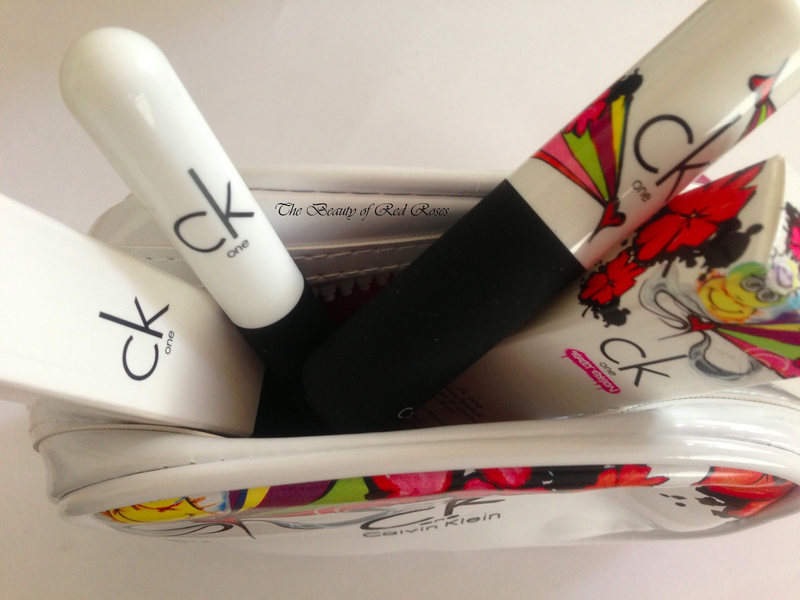 I received a CK One Colour Street Edition cosmetic pouch which was a gift with purchase promotion with any purchase from the Street Edition range. 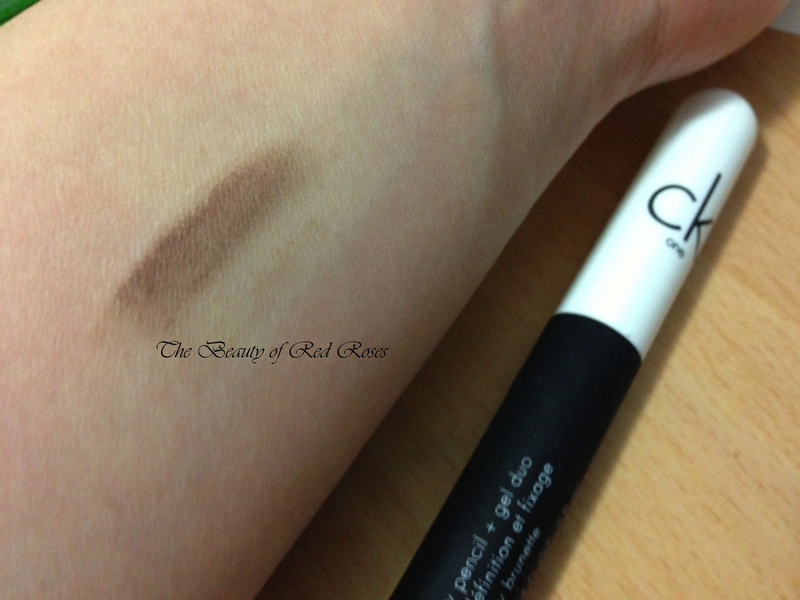 I also ended up purchasing the CK One Brow Pencil and Gel Duo as I've been looking for these nifty eye brow duos everywhere, however, it seems that only CK One Colour and Bloom cosmetics sell these (see my review on Bloom Cosmetics Eye Brow Duo here). CK Once Brow Pencil and Gel Duo in Wily Brunette and Shine Lipstick in Punked. 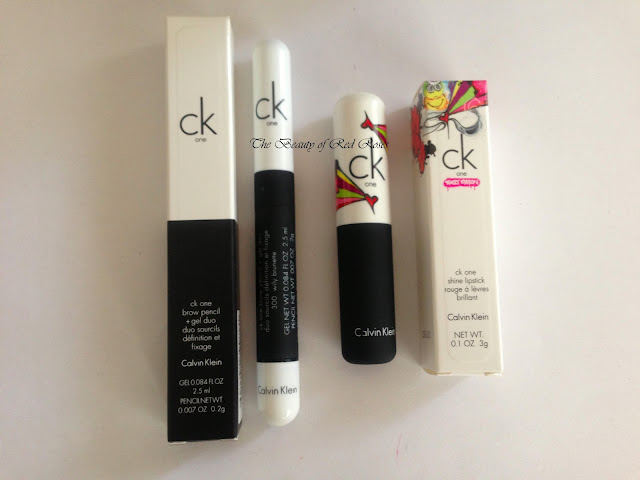 I really love the packaging of CK One Colour products - it's just simply black and white. The packaging is made from a black rubber-like material and the cap is a smooth shiny white plastic. I like that idea of the sleek and simple design and the rubber grip makes it very easy to open and use. 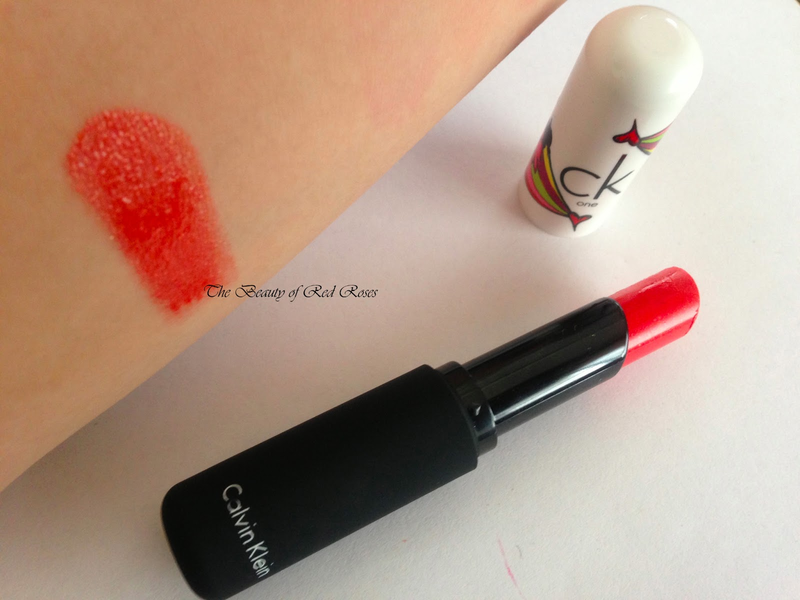 The lipstick casing is shaped like a bullet, similar to that of MAC lipsticks, and the formula is more sheer, shimmery and moisturising than the original CK One Pure Colour lipstick range. The shade Punked is a fun shade to wear that is more suited for day time wear as the minute iridescent shimmers give a luscious shiny effect to the lips when standing under the sunlight. The formula of CK One Shine Lipstick feels very slippery when applied, hydrating and lasts a good couple of hours, leaving a few specs of shimmers on the lips towards the end of the day. The high opacity of CK One Shine Lipstick means that you only need one swipe (bullet to lip) to achieve lush and full looking lips. CK One Brow Pencil and Gel Duo is a 2 in 1 applicator which has a slanted wax pencil on one end and a tinted brow gel on the other end. There are four different shades of these Brow Pencil and Gel Duos: #100 Clever Blonde (blond), #200 Foxy Redhead (auburn), #300 Wily Brunette (medium brown) and #400 Crafty Raven (dark brown). Wily Brunette applies on as a light ash brown that is buildable and adds colour to suit medium brown brows. I especially love the wax-base formula of the brow pencil as it glides onto the brows smoothly and tames unruly brows to give defined, fuller and natural looking brows. The brow gel is tinted and dries up quickly to give well separated brows that stay in place - it's the perfect finishing touch to grooming brows. 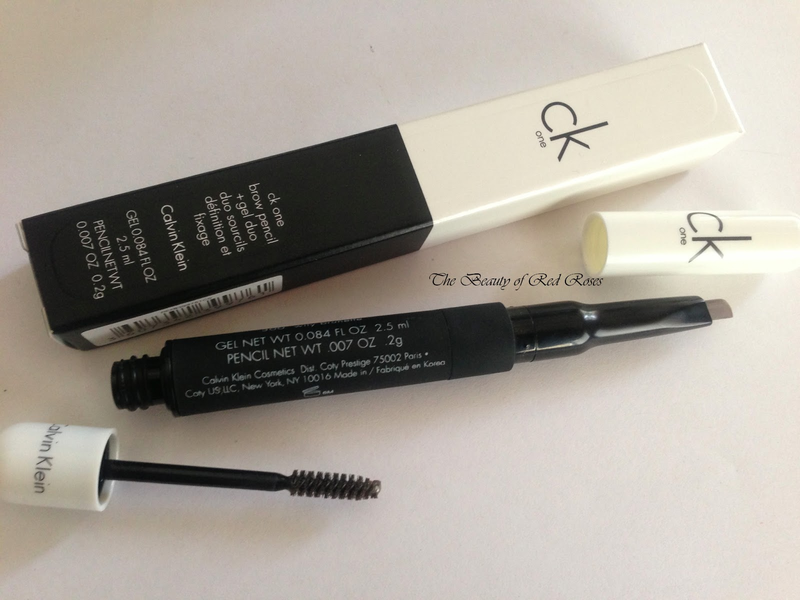 CK One Colour Brow Pencil and Gel Duo is an absolute staple and I highly recommend this product! It's very simple and easy to use and you could achieve beautiful brows in a matter of seconds. What do you think of CK One Colour Street Edition? Have you tried CK One Colour makeup before? Hey, I know it's been a while but could you post a pic of the swatch? I'm thinking on buying CK brow duo in "wily brunette" but since I'm ordering online I'm unsure.